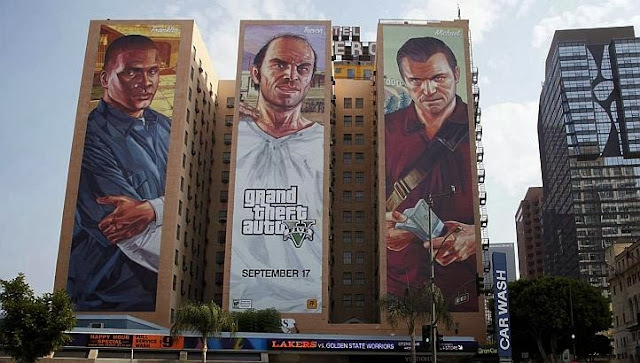 So you thought I wasn't GTA crazy enough? This enough to prove a point eh? 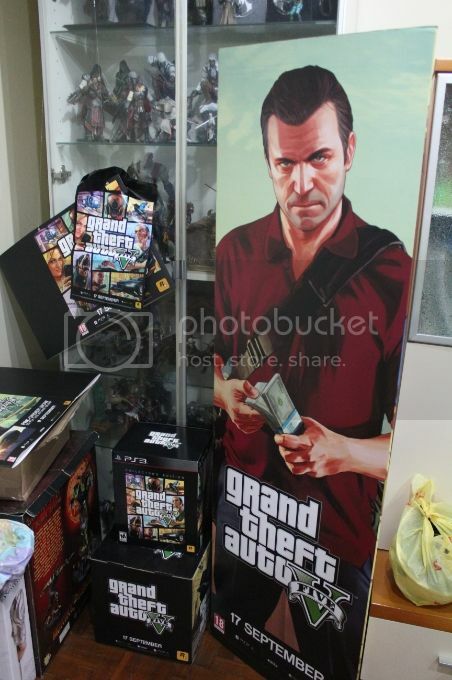 Haha got some display promos from somewhere I can't tell you.. (I'l have to kill you Trevor-style if I did...) Was really crazy bringing back that standee in a cab but I couldn't resist having it in my collection. 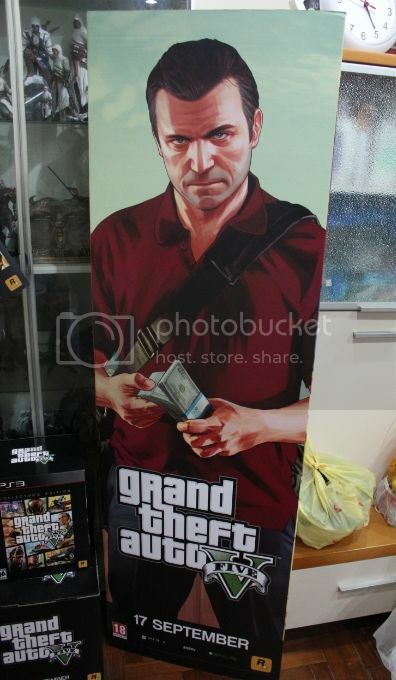 It's a triangular cardboard standee with all 3 characters on each side. It's stunning but a little creepy though. It took a while for everyone in the house to get used to Michael staring down at them. For the few days, everyone, including me, would "jump" whenever we came out of the room or kitchen and see Michael standing there. 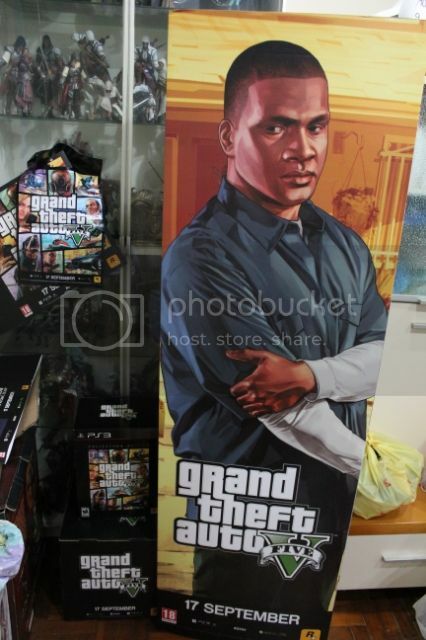 It's better now.. thankfully, or I would have to cover the standee up or something. The front is now blocked by some other stuff to prevent "the little rascal" from knocking it over. 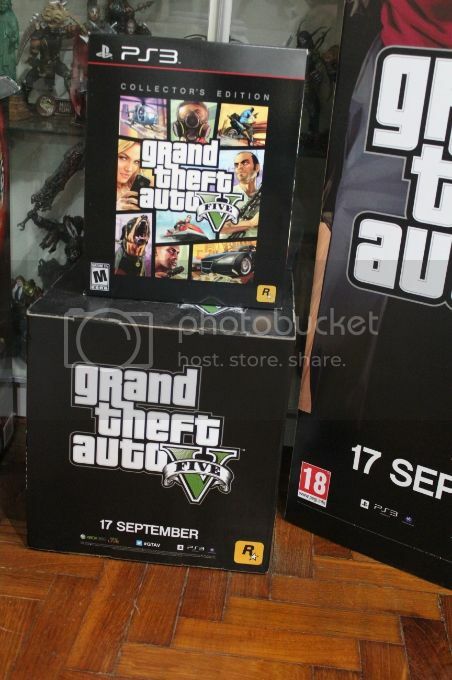 Also got the display promo box which is sitting under the GTA V Collector's Edition. 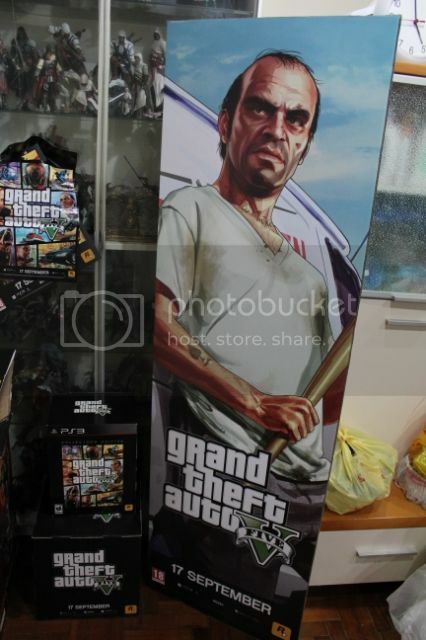 The first GTA V display item I got was actually this "hanging thingy"
This was what started out my hunt for the display promos found in stores locally. So I got this, then I got the promo box and then the standee.. Notice how each item progressively gets bigger.. Anything bigger out there? Maybe I'll target these next.. 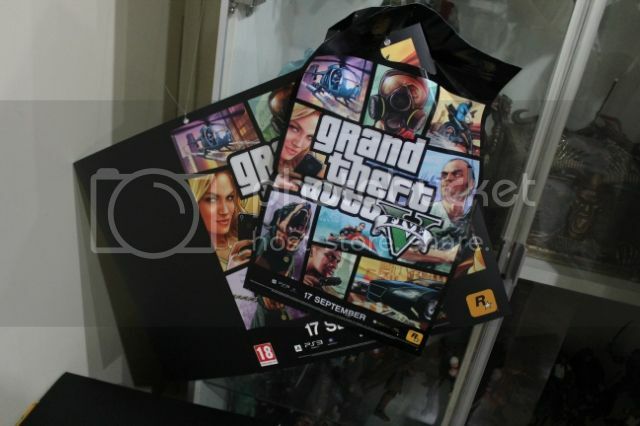 Anyway... the first item was actually the GTA V carrier.. 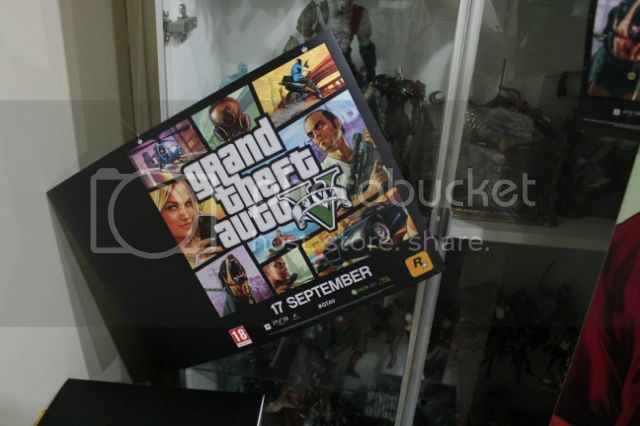 But it wasn't exactly a display promo as everyone who pre-ordered the game got 1. How do you like my display/collection? Am I a big enough GTA fan for you?